How to Spend a Weekend in Phoenix? Phoenix is a nice vacation destination. It has a warm, dry climate that attracts many tourists, especially during the winter months. The city has plenty of tourist spots, such as museums, historical sites, and cultural attractions. There are also numerous activities to enjoy and plenty of opportunity for adventures. Here’s how to discover the city when you spend a weekend in Phoenix. Where to Book a Hotel in Phoenix? Begin a weekend trip to Phoenix by booking the right place to stay. The city has both luxury and budget-friendly hotel options. Hotel San Carlos, The Clarendon Hotel, Westin Phoenix Downtown, and Kimpton Hotel Palomar Phoenix Cityscape are some the best hotels in the city. To find the perfect hotel, use Hotel Planner to check for available listings. This hotel guide also offers cheap and discounted hotel rates in Phoenix. With an ideal place to stay, a trip to Phoenix is sure to be memorable and enjoyable. What to Do in Phoenix? As a tourist destination, Phoenix offers cultural and historic neighborhoods and a vibrant art community. There are also lot of museums, gardens, and important landmarks to see. Many people also go to Phoenix to enjoy the outdoors, as you can choose from numerous golf courses and mountains that provide opportunities for hiking, biking, and climbing. When visiting Phoenix on a weekend, here are some places to visit and interesting activities to experience. 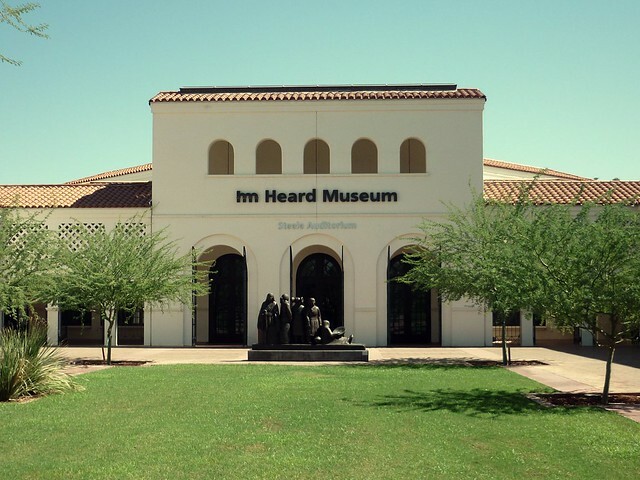 Heard Museum is a private museum in Phoenix open to tourists. It’s a world-famous museum dedicated to Native American cultures and arts, especially those of Arizona and New Mexico. Heard Museum has 12 exhibition galleries and offers free guided tours. The museum also has outdoor sculpture gardens, a renowned café, a contemporary art gallery, and trading-post style shopping. When visiting the museum, be sure to also check out the amazing collection of Hopi Kachina dolls. This 140-acre botanical garden has an excellent display of native desert plants. It also features plants adapted to desert conditions, including an Australian collection, a Baja California collection, and a South American collection. It’s also home to many desert animals, such as lizards, birds, and occasional roadrunners. Phoenix Art Museum is the largest art museum in the Southwestern United States. It displays international exhibitions alongside its comprehensive collection. It has more than 18,000 artworks with an emphasis on American, Asian, Latin American, and modern and contemporary art. Visit the museum on the first Friday evening of every month to get free admission. This district in Phoenix is a fun place to visit. It’s great area for shopping and dining. It’s also a place to see some art galleries and experience the local nightlife. 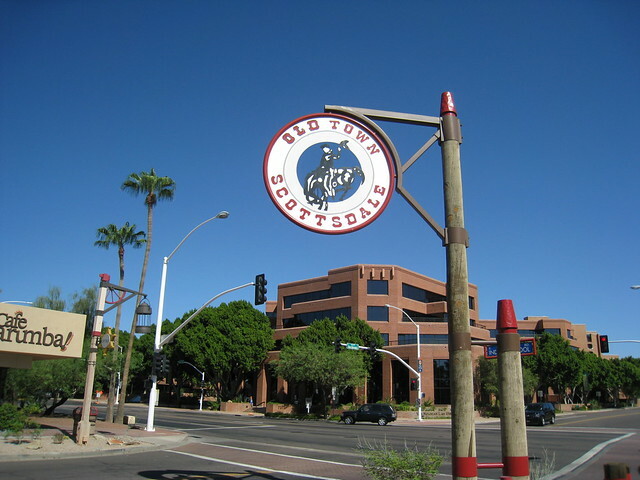 Old Town Scottsdale is also home to the Scottsdale Art Walk, which takes place every Thursday evening. 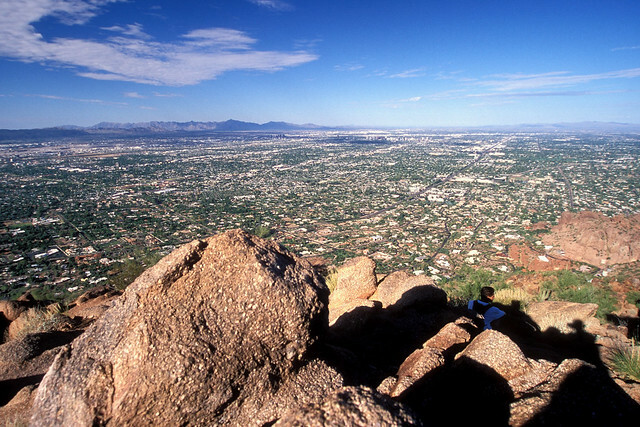 South Mountain Park is the largest municipal park in the United States, and it has been designated as a Phoenix Point of Pride. If you’re looking for some adventures in Phoenix, this 16,000-acre area has many trails and wildlife. It’s worth hiking because of the scenic views it offers of Phoenix and the surroundings. Where to Eat in Phoenix? Phoenix offers a considerable number of places to eat. Some of the best restaurants are Little Miss BBQ, Pomo Pizzeria Napoletana, Rusconi’s American Kitchen, and Fuego Bistro. For cheap eats, there are many 24-hour Mexican food places, such as Filiberto’s and Raliberto’s. Other budget-friendly restaurants offer burritos for less than $4. Phoenix is a fantastic holiday destination. It’s a diverse city with interesting places to see and exciting adventures to try. During a long weekend, you can easily explore the best of the city. How to Enjoy a Weekend in Brooklyn, New York?